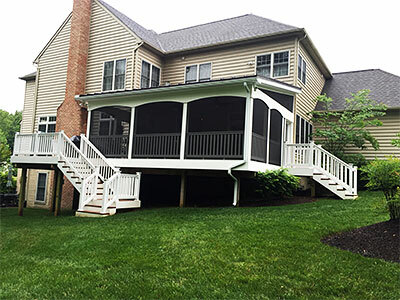 Screened porches are a very cost effective way to add valuable living space to your home. 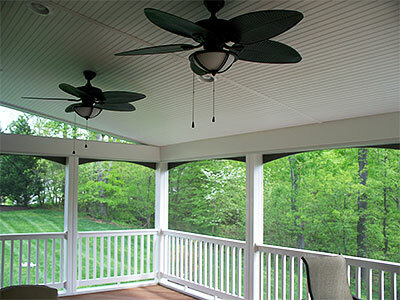 A screened porch provides you with an outdoor living space you can use two or three seasons out of the year. Your porch, patio, deck, gazebo, or pool are there for a reason. You love that touch of outdoor living, so why not get more of what you love? PGT Industries' Eze-breeze product line provides several styles of components for you to choose from. Your custom outdoor living space will be versatile, attractive, strong and easy to operate. 10-mil vinyl glazing gives the benefit of glass without the cost or the weight. It's as transparent as glass, but not nearly as heavy, expensive, or susceptible to cracking or breaking. If accidentally pushed or distorted, the tough vinyl will return to its original shape within minutes. As is the case with most of our products, PGT provides a limited lifetime warranty on their product, so you can rest knowing that your investment is protected. Until now, screen fabrics for outdoor enclosures have been limited in strength and durability, needing replacement in only a few years due to puncture, tearing or breakdown from exposure to the sun. The fiberglass screen material available today can become hard and brittle within 3 to 4 years, to the point it can be easily damaged by pets, flying objects like golf balls, hail, tree limbs, roof shingles or children at play. Within 3 to 4 years, with deterioration, a strong gust of wind can tear fiberglass screen to shreds. 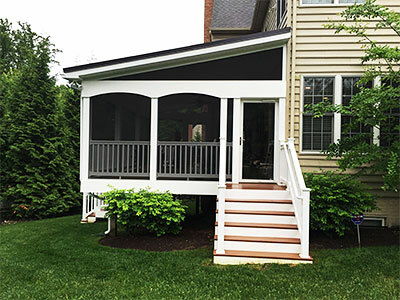 SuperScreen® provides the homeowner many years of worry-free durability and protection, by incorporating superior tear resistance and tensile strength. SuperScreen® advanced polymer formula defies deterioration.